‘He was a happy, healthy boy who was developmentally ahead of the game. Had his Mmr (Measles, Mumps, Rubella vaccine series) at 15 months old. That very night I found him seizing in his crib with a 105.5 fever. He stopped walking, talking and interacting that very day. Lost all his speech and fine motor skills and was in his own little world after that. Started spinning/flapping/clapping/hitting and other severe sensory seeking. He began having seizures daily and by 15 months old we got an epilepsy diagnosis, and finally by age 2 we got the autism diagnosis. He also struggles with major digestive issues, anxiety, very aggressive behavior, adhd (literally has a 2 second attention span) and major sleep issues. And it just so happens that Early Onset Autism occurs anywhere from 12-18 months, which coincides precisely with the most intense period of standard immunization. How many vaccines are getting in under the radar during this critical window of time? By 15 months the average child in most developed countries has received, conservatively, a minimum of 25 injections. This results in severe heavy metal toxicity interfering with the earliest primary stage of development, particularly during the first 6 months after birth. According to Mainstream Medical Industry statistics (which are far below the actual trend on the ground, in our communities), Autism is now occurring at a rate of 1 in 68 – based on outdated CDC estimates from 2010. This translates to a doubling of cases since 2004. The reality is far more glaring and troubling than Government Health Departments will contend. Within one generation, Autism will be commonplace in most families. ‘Using regression analysis and controlling for family income and ethnicity, the relationship between the proportion of children who received the recommended vaccines by age 2 years and the prevalence of autism (AUT) or speech or language impairment (SLI) in each U.S. state from 2001 and 2007 was determined. A positive and statistically significant relationship was found: The higher the proportion of children receiving recommended vaccinations, the higher was the prevalence of AUT or SLI. A 1% increase in vaccination was associated with an additional 680 children having AUT or SLI. How is it that we, as a society, have allowed this to happen, routinely permitting our children to be subjected to multiple heavy metals, live viruses, mycoplasma, antibiotics, formaldehyde, detergent, diploid cells, phenol dye & excipient buffers, when they are at their most vulnerable stage of early development? Which specific set of circumstances led to this unprecedented epidemic impacting our communities? The answer rests in the hands of science, the science of the human body, the delicate science of a baby’s brain & central nervous system. As determined in ‘The Autism Report (Part 1)‘, babies & young children are highly vulnerable to any vaccine-derived neurotoxic breach, impinging on their brain & central nervous system functionality. Newborn babies are at a significantly higher risk of susceptibility to long-term damage than children past 24 months old, because their brain & central Nervous System are undergoing the most rapid development at the very time they receive the greatest number of vaccinations. Again, science proves why. Many of these childhood vaccines contain Aluminum Hydroxide, used as an adjuvant, ostensibly to jumpstart the Immune System into producing antibodies against a particular virus. Aluminum is a highly negatively (net) charged bio-active metal, 64 times more positive than colloidal blood product (any foreign substances in the bloodstream other than water). It also has the properties of a coagulant – attracting everything in its path, which results in a form of sludging. Bear in mind that all conjoined toxins found in these shots will electro-chemically bind with Aluminum in the bloodstream, including Thimerosal – another deadly neurotoxin (which has a lesser bio-active charge than Aluminum). Mercury actually eats through Aluminum, and they form into an amalgam. Note: Whereas Aluminum is the more dominant metal as a coagulant & in terms of its net charge on the body, Mercury is clearly the more corrosive element. And if these processes are weakened enough, and the conditions are right (ie. compromised immunity from birth or a pre-existing medical condition) a baby will often succumb to Encephalitis, inflammation of the Brain & Meninges, manifesting as ‘diffuse neuropsychological dysfunction’, and Anaphylaxis, a system-wide allergic & functional breakdown, described as ‘a severe, whole-body allergic reaction to a chemical that has become an allergen’, which can trigger a chain reaction of neuro-developmental difficulties & a host of autoimmune-related dysfunction. 1. A newborn lacks sufficient protection to guard against premature damage to the Blood-Brain Barrier (physiological mechanism that alters the permeability of Brain capillaries so that some substances, such as certain drugs, are prevented from entering Brain tissue, while other substances are allowed to enter freely) on the Brain. A baby’s Blood-Brain Barrier takes no less than 7 months in utero (latter stages of third trimester) to establish its primary protective shielding – so that vital, unfinished area is still completely raw & vulnerable to Vaccine type toxicity. 2. The Myelin Sheath, the (electrical) insulator of the Brain cells, (‘the protective sheath around axons‘…’A long fiber of a nerve cell/neuron that acts somewhat like a fiber-optic cable carrying outgoing/efferent messages in the nervous system.’), a casing or insulator which protects the baby’s basic cells & Meninges (‘3 layers of protective tissue called the dura, arachnoid, & pia mater that surround the neuraxis…axial unpaired part of the central nervous system‘) are also both under-developed at this stage. In fact, a baby undergoes continuous Myelin formation well after birth. There is no safe threshold for any Vaccines, whatsoever. The Brain is an electrical field, a massive electrical grid complex which regulates the entire operation of life for the body. 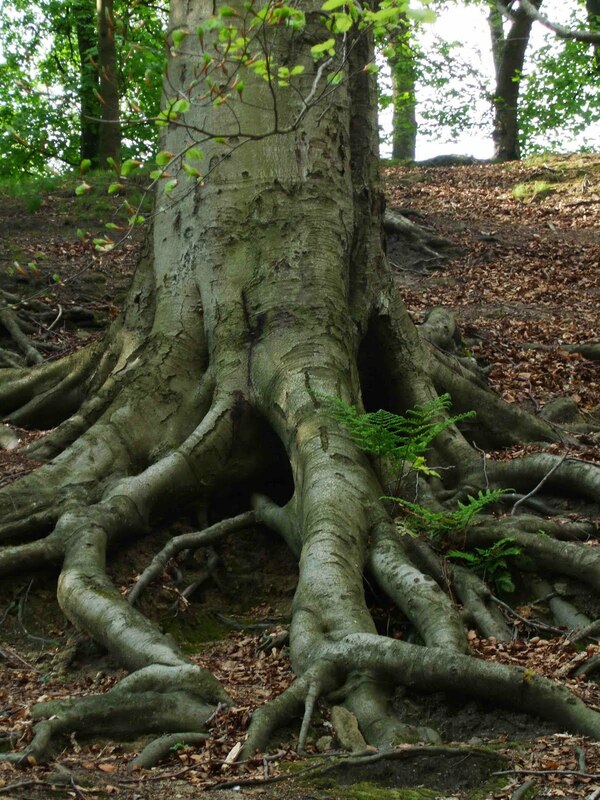 The human body is hard-wired to the Brain, an intricate bio-electric network; analogous to a tree deeply rooted into this matrix of highly electrical “soil”. ‘Through my extensive research and my work throughout the years, I have discovered that vaccinations are causing impaired blood flow (ischemia) to brain and body from clinically silent to death. These are strokes – across the board for all of us. 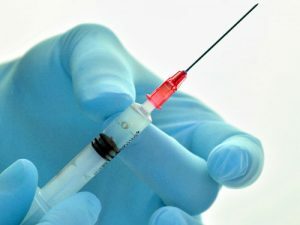 I have reason to believe that all are being affected and all vaccinations ARE causing the overwhelming rise in autism, specific learning disabilities, attention deficit disorders, sudden infant death, gulf war syndrome, dementia, seizure disorders, some cancers it would appear, and much much more. I fell in the unique position of having being able to see clinical medicine problems, from a multitude of simultaneous areas of expertise and scientific knowledge. Relative to the human brain, I understood “rules and laws” of brain function relative to brain damage and the mechanisms of medical physiology that can uniquely cause unique patterns of brain damage in ways that my clinical skills could detect, that mainstream neuroimaging cannot. The initial “aha” moment was in 2001. I was seeing, autistic patients, coming out of medical school – they had a trans-cortical motor aphasia, isolation of speech syndrome, and very specific cranial nerve palsies that could ONLY be accounted for by ischemic stroke. Remarkably, my studies of schizophrenia, dementia, and research exposure to neuroimaging modalities and brain and behavioral assessments before medical school contributed to my ability to “see” what has been in front of our eyes all along – ischemic strokes and brain damages – from vaccinations. 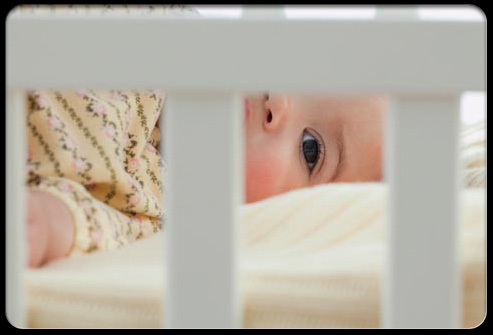 A newborn baby’s overall capacity to develop & thrive is ultimately determined by the viability of the Brain to carry out its complex systems of operation throughout the body. There is no disputing the science of a newborn baby’s Brain & central Nervous System, the SCIENCE of the electro-chemical synergistic nature of Vaccine-derived neurotoxins (Aluminum & Thimerosal), injected into deep muscle tissue/subcutaneously, entering the bloodstream; that, in point of scientific fact, all heavy metals are magnetically drawn to areas of fatty tissue, primarily the Brain & central Nervous System…where they systematically erode the primary core circuits necessary in supporting early childhood development. The Lymphatic System, which produces White Blood cells (Lymphocytes), crucial to determining the capacity of your Immune system to fight off (adapt to) incoming viral, bacterial & fungal infections, is, not surprisingly, hard-wired to the Brain, intertwined, buried deep within the Meninges layering of tissue. 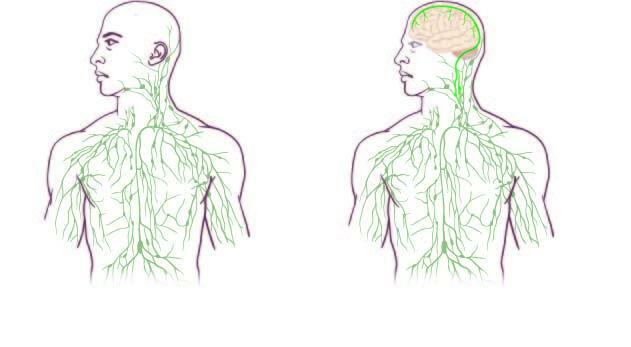 Not only is the Lymphatic System interconnected with the Brain, but clearly, all systems of functionality are also intricately linked to the primary core of the Brain. This is further confirmation of my entire thesis on Vaccine toxicity and its effects on a child’s Brain & central Nervous System. It also explains the resulting sinkhole effect: where-by Vaccine-injured children are typically unable to acquire, and in turn, unable to harness their vital supply of trace minerals & anti-oxidants; which ultimately cripples their Immune System, culminating in varying degrees of Inflammatory Bowel Disease, often referred to as “Leaky Gut Syndrome“. “Autism is a complex metabolic disorder involving multiple organ systems, primarily the toxicological, immunological, gastrointestinal, and neurological systems. These organ systems are probably the most poorly understood and the most complicated of any in our body, and they’re also the most tightly integrated. For instance, more than 70% of the immune system is housed in the gastrointestinal tract, so you can’t have a problem in one and not the other. All of the neurotransmitters (the chemicals in your brain) also exist in the gastrointestinal system, where they have separate roles. The GI system is one of the main barriers against neurotoxins. Why is the Immune System crippled in these children with Autism? Therefore, if these levels are depleted, the bedrock of your immunity is undermined. All Vaccines straightjacket the Immune System, by stripping the body of its ability to harness vital trace minerals & antioxidants; the essential arsenal that any child requires to successfully overcome the symptoms of any incoming infection. The kidneys produce Vitamin D3 & the liver plays a vital role in the functioning of D3 throughout the body. When these organs are compromised, it will throw your entire metabolism off. Children with Autism Spectrum Disorder have had the rug pulled out from under them at a critical stage of early development, depleted of their vital mineral & antioxidant base, stripped of Mitochondrial & Thyroid efficiency/functionality, their vulnerable “electrical grid” nerve center violated prematurely – which significantly inhibits the capacity of the body to carry out its normal systems of operation; and all the evidence points to heavy metal toxicity derived from standard Immunization Vaccines (25 injections by 15 months conservatively). The gut level “plumbing” crisis, a hallmark of Autism, is the end result of a “house” in crisis; ground zero for neurological & neuro-developmental dysfunction. 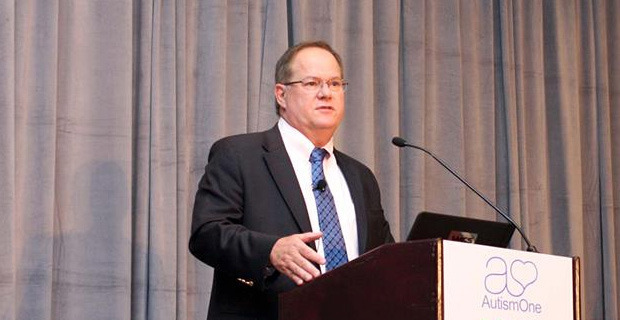 Dr. Jeffrey Bradstreet, M.D., of Melbourne, Florida was a warrior, fighting on behalf children with Autism, exposing the link between heavy metal-containing Vaccines and resulting neurological & neuro-developmental degeneration, leading to Early Onset Autism. 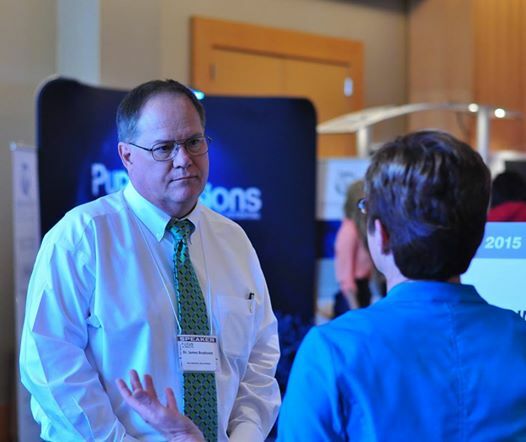 Bradstreet also represented families in the U.S. Court of Federal Claims – which tried to brandish him a pariah in the Medical community. He was a tireless researcher who understood Autism down to the micro-biological level; a preeminent healer, able to restore the health and well-being of countless Vaccine-injured children through holistic protocols. He identified the Gut-Brain connection in all children coping with Autism, the critical ink between Vaccine-derived oxidative stress on the body, brain inflammation and ensuing Inflammatory Bowel disease (Crones, Colitis) – a benchmark problem in all cases of regressive (Intermediate/Advanced) Autism. His treatment protocols focused on a key determinant factor, which aids in regulating Brain-Gut functionality, a neuro-peptide G-protein-coupled receptor located in the Duodenum (Small Intestine) known as Secretin. Secretin is defined as: ‘a neurotransmitter (a chemical messenger) in the neuropeptide group. It is one of the hormones that controls digestion (gastrin and cholecystokinin [CCK] are the others). It is a polypeptide composed of 27 amino acids and is secreted by cells in the digestive system when the stomach empties. Individuals coping with Autism have a marked decrease in levels of Secretin, upwards of a 50% drop. Without this versatile & powerful hormone, neural capacity in the brain is drastically hindered, which cripples the body’s overall metabolism. causing a chain reaction of problems, including ‘visceral inflammation’, uncontrollable (Sub-Clinical Epileptic/Grand Mal type) seizures, decrease in ‘stress-responsivity/adaptation’, ‘learning and memory’ loss, weakening of ‘behavioral and autonomic reflex control’. and ”pathology in the gastrointestinal tract.’ – linked to yeast overgrowth and toxic bacterial build-up: a hall-mark of intermediate/advanced Autism. ‘The finding in two autistic children of 50% fewer secretin cells in the duodenum suggests that impaired secretin systems would impair vagal (Brain) transmission. Vagal stimulators that ameliorate depression and intractable epilepsy. may act in part by reflexively stimulating release of secretin from the brain-gut stress regulatory axis. Autistic children exhibit dysregulation of vagal networks which normally synchronize the EEG, protect against arrhythmias and preserve visceral metabolism. Secretin neurons localize to several brain regions that are closely connected to the cerebellum, such as the hypothalamus, which act together to coordinate a wide range of activities, including behavioral and autonomic reflex control of visceral organ system response patterns. Secretinergic processes in paraventricular and preoptic hypothalamic nuclei are implicated in neurohumoral mechanisms related to blood-brain barrier functions. The secretin receptor is a G-protein-coupled receptor. A newly identified function of G-protein-coupled receptors is potential sensing of environmental cues during cerebellar histogenesis. Our interest in secretin includes another neuro-peptide that is involved in the modulation of gut function, oxytocin. The actions of secretin and oxytocin extend beyond the cerebellum to include resolution of visceral inflammation, together with its neurological manifestations in multiple sites. Dr. Jeffrey Bradstreet was a pioneer in the field of Autism research and treatment, who left no stone unturned. His approach, which combined the consistent use of anti-oxidants with neuro-peptides (Secretin), has helped improve the lives of thousands of Autistic patients; in many instances, culminating in a partial/complete remission of Autism symptoms. “Cure, in Medicine, implies abolished. gone with no risk of coming back, as opposed to remission. The cure word is real in Autism. There are some individuals that have already been cured, they’re not at risk for remission, they’re on with their lives, they’re in their twenties…home-free. Now it doesn’t exist for every kid. It really depends on what you think you’re treating. Are you treating Autism? Good luck with that. That’s kind of a behavioral intervention. Really what you’re treating is this massive, environmental immunological insult on your kids during critical times of development, some of which we can repair…but in other cases we hit these road-blocks. In defence of Dr. Wakefield, and I’ve known Andy for twenty years, and my (Autistic) son was actually scoped at the Royal Free Hospital by that whole team before they were dismantled, his work has never been discredited. They objected to the way he got his IRB (Independent Review board) and timing sequences. The Inflammatory Bowel Disease is there. It’s not been discredited. It’s been maligned…bad-mouthed to the point that no physician will deal with it, and research it. Lots of complicated interactions between the gut and the brain. It’s bio-directional. It’s not just the gut influencing the brain. The brain influences the gut. I think you could define Autism as a deficiency of these anti-microbial peptides (very small molecules that get into mucous, and are there to defend you naturally), because they can’t defend themselves. So they wind up getting lots of potential insulting bacteria that colonize them and overgrow, because they can’t protect their mucous barrier in the Intestinal tract. For many of these Autistic children & young adults under Bradstreet’s care (upwards of 900 case files), the administering of Secretin, combined with potent anti-oxidants saw dramatic results, from improved motor skills in the Brain to an overall marked increase in communication, sensory awareness, social adaptability, the stabilizing of the Gut. Consequently, his work represents the missing link, the final piece in the Autism puzzle. Secretin operates/functions as short-cut conduit or super-highway, between the Brain & Gut. This factor is critical in clearing a path toward ultimately overcoming and reversing the myriad symptoms of Autism. Vaccine researchers in the field have long recognized that Gut dysfunction and premature (vaccine-derived) damage to the Brain & central Nervous System are intrinsically related. Bradstreet, however, has gone further, identifying the actual linchpin, or chemistry, a measurable (non-genetic) marker, drastically depleted in those individuals suffering from Autism Spectrum Disorder. The quantity & consistency of his treatment protocols made all the difference. We must carry his work forward. Why would a doctor so dedicated to inspiring the lives of children, a devout family man devoted to his patients, loved by everyone, seek to end his own life, turning a pistol on himself and pulling the trigger? Perhaps the answer to this question is buried in the Medical system he found himself at odds with, particularly the U.S. Court of Federal Claims, the bottomless pit of Vaccine-Industry fallout. Bradstreet was a constant thorn in their side, high on the Vaccine Industry black-list; and his ongoing defiance of the FDA, in utilizing alternative treatment protocols, only fueled the fire of controversy. ‘Bradstreet’s treatments included a wide variety of dietary supplements, secretin infusions, immunoglobulin therapy, chelation, glutathione, and prednilisone. 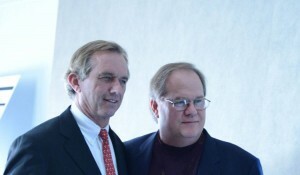 He ordered numerous laboratory tests, many of which were non-standard tests not approved by the FDA, or ones performed outside the U.S.
All children coping with Autism are plagued with some degree of Gut (Bowel/Intestinal) dysfunction; a byproduct of prolonged/acute exposure to vaccines, antibiotics, non-organic meat products (Prions), Trans Fats (“bad”cholesterol), Gluten, Casein, household (Commercial) & environmental (Industrial) carcinogens/toxins – involves the leeching out of healthy “probiotic” bacteria & proliferation of invasive “pathogenic” bacteria through “scarring” perforations in gut wall lining; leaving you vulnerable to most infections. Note: Gut “flora”, a toxic byproduct of Gluten & Casein intolerance (including that of “pathogenic” bacteria/”bad” cholesterol), is defined by an accumulation of yeast overgrowth (diet related) within the gut. Note: Celiac Disease (CD) & Inflammatory Bowel Disease (IBD) are virtually indistinguishable conditions associated with gut deficiency; and therefore, by extension, precursors to/role players in the onset of Early Onset Autism. In the case of children coping with Autism the task of restoring their full capacity is definitely more prolonged than for some, given the complex array of symptoms. The synergy of immunological, neurological & physiological well being hangs in the balance. In the end, we have to go back to the beginning, to the source of neurological & neuro-developmental trauma, in order to fully unravel the damage done to these individuals. Consider the analogy of a child, having stumbled into a cave, lost and in the dark, finding themselves further disoriented, ill-equipped to navigate their way out. Our role as parents is to help guide them through that cavernous lair of narrow passage ways, back to the mouth of the cave. Until your child takes proactive steps to solve the Gut problem, they will invariably continue to endure sub-standard health (auto-immune dysfunction) – everything from a deterioration in cell viability/macro-degeneration of cells (Mitochondria related), loss of bone density/arthritis, compromised immunity (susceptibility to Influenza, Colds, chronic headaches etc), persistent Thyroid dysfunction (Liver related), food allergies, low energy (Chronic Fatigue Syndrome), memory loss, depression/anger, weight gain/loss, hair loss, anemia, eczema, Respiratory/Circulatory issues. Bowel distress/Inflammatory Bowel Disease (varying degrees of Crones Disease or Colitis), including a host of crippling neurological & neuro-developmental factors. We must look to children with Autism to determine the full extent of “vaccine toxicity” derived nutrient deficiencies incurred in the body. All vaccine damaged babies or infants, those fortunate enough to miss the onslaught of Early Onset Autism, still incur significant damage to these interdependent storehouses of vitamins/antioxidants & trace minerals (coupled with the body’s inability to break them down accordingly). The end result of this prolonged deficit, a cascading breakdown ensues at the cellular level – Mitochondrial & Methylation-related dysfunction, all factors primarily having been initially triggered by a vaccine-derived neurotoxic breach of “electrical grid” nerve center. In many ways, the key to decoding Autism and halting this epidemic once and for all, is time. As any parent with an Autistic child knows, gaining a foothold on Regressive Autism requires tremendous patience, and tangible results aren’t always immediate. But there is a way out of this convoluted maze, a route which ensures lasting change, given a concerted effort. Our children are depending on us to take charge, and lead the way home.